Succulents get their name because they store water. They evolved to do this because they come from places in the world where precipitation is scarce. These plants store water in their stems and leaves, and some store water in their roots. Some, such as the barrel cactus, is famous for saving the lives of thirsty travelers who find themselves stranded in the desert. Because they store water, it is important not to overwater a succulent. 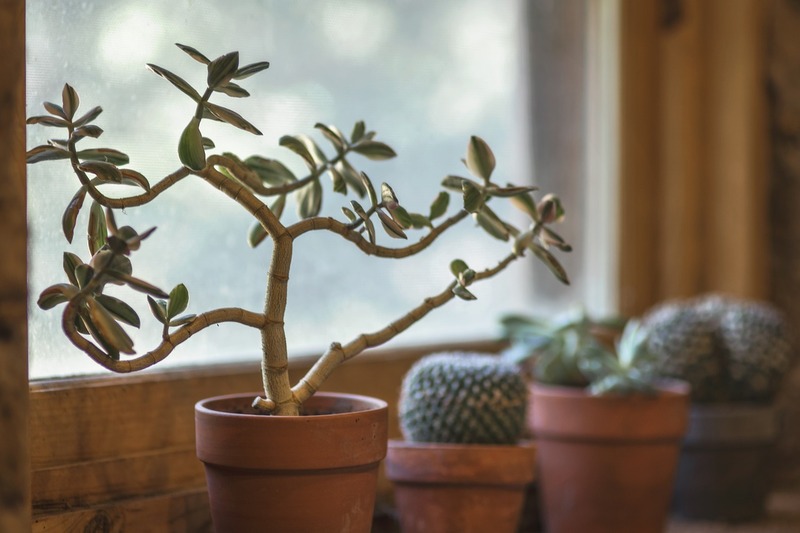 A succulent that gets too much water cannot remain healthy. At the most, these plants need a deep, thorough watering once a week, if that. The plant certainly should not be watered again until the soil is dry. Some experts on succulents claim that if the plant has soft leaves, it should be placed in indirect light. If the leaves are hard, it should be placed in full sunlight. All succulents need a light that’s bright or else they will grow leggy in their attempt to get more light. Because of that, it’s a good idea to put them in a window with a southern exposure if they are indoors and place them in part of the garden that gets the most sun if they’re being grown outside. It is imperative that succulents be placed in soil that drains thoroughly and quickly. Cactus soil is ideal for them, whether they are cacti or not. If you can’t find cactus soil, place the plant in a mix of two parts potting soil and one part sand. The pot must have a drain hole, and the best type of pot is one made of terra cotta. Terracotta pots allow the soil to dry out quickly, unlike plastic pots. Another tip is to place a layer of gravel over the top of the potting soil. It not only helps the soil stay on the dry side but is attractive. 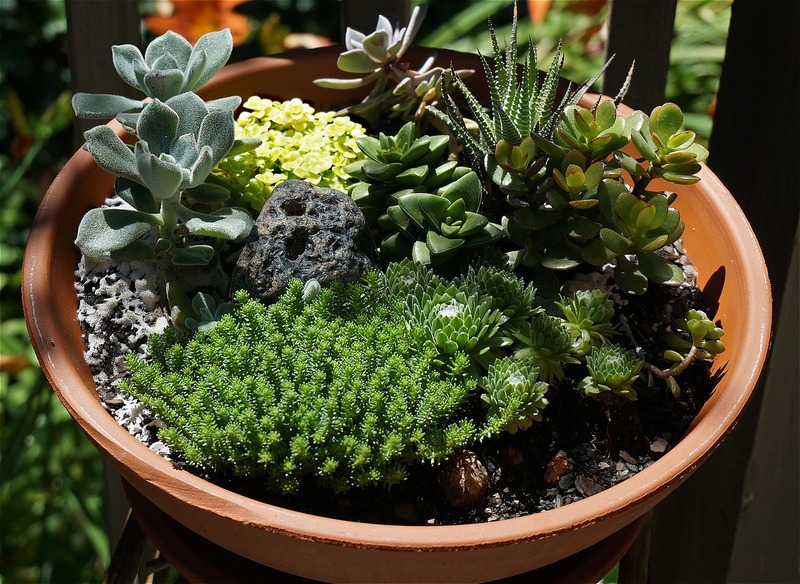 If the succulent is being grown outdoors, it also needs to be placed in soil that drains well. 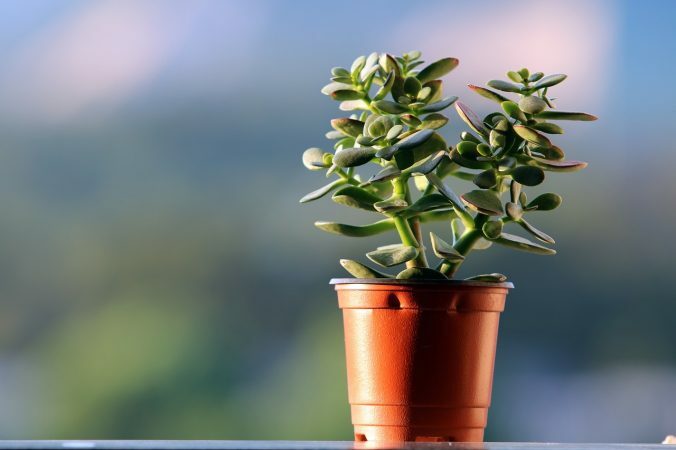 If you’re determined to place the succulent in a certain spot with poorly draining soil because of the sun exposure or other factors, the soil needs to be mixed with gravel or sand. Some gardeners even install drains to keep the soil dry. Though it’s true that most succulents like it on the warm side, there are some that can stand a touch of cold weather. These would be succulents such as agave and even some types of cacti. But it’s best to bring outdoor succulents indoors when temperatures start to drop. Succulents should be fertilized every month during the growing season. 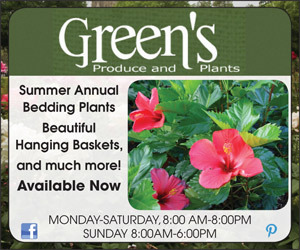 They do well with regular plant fertilizer.